When we think of the ‘essentials’ in a bathroom, we automatically come up with the sink, the toilet, and a shower and/or bath. For many of us, a mirror is an essential item. You would be surprised at how many people wouldn’t consider a bathroom mirror to be overly important. 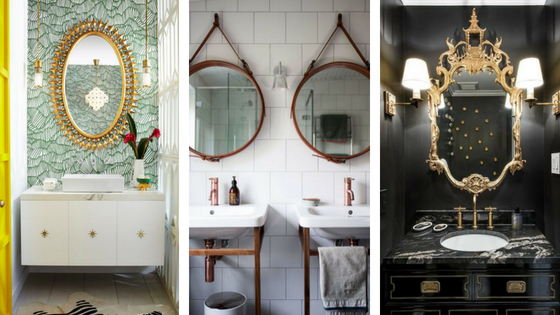 Mirrors might not be at the top of your decorating wish list for the bathroom. Nailing the right style and size of looking glass will add an important finishing touch. If you are looking to completely transform your bathroom set or even making a statement, there’s one simple way to achieve that. Introduce Mirrors that will become a bold focal point in your luxury bathroom, as they will give a fresh and bright touch to your set. What Mirrors can do for your Bathroom! Mirrors in bathrooms are essential. 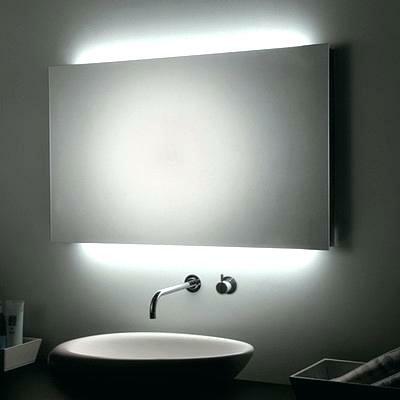 Hung above a sink, with bathroom lighting installed above or on each side, a vanity wall mirror can complete any bathroom. Hanging mirrors near or across a window will maximise natural light. A strategically placed mirror in a small room can give the illusion of more space too. However, a good mirror in the bathroom can really work wonders for space around. Not only are they a great way of reflecting light. It’s often said that mirrors can even double the size of a room. Bet you didn’t know that, right? Aside from the practical benefits of a bathroom mirror, they also come in a variety of shapes and sizes to suit the style of each individual bathroom. Mirrors that double up as practical storage cabinets are a godsend in the bathroom. Choose handsome, frameless blacks of storage with simple mirrored fronts. These hide a host of drawers, shelves and nooks for stashing your stuff yet maximising reflections. 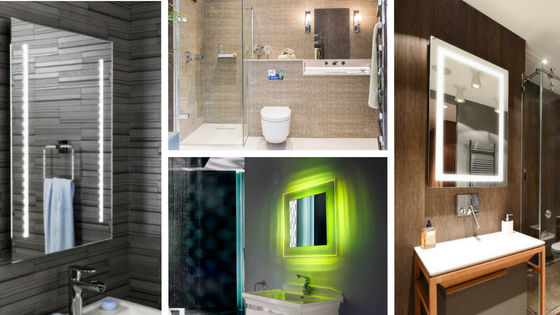 Backlit Mirrors have already replaced a lot of traditional mirrors, especially in modern and contemporary bathrooms. One of the biggest advantages when using bathroom Mirrors with light strips that are built in is the fact that there are no unflattering shadows. There’s no need to worry about the placement of the wall sconces or pendant lamps. This entry was posted in Style and tagged Bathroom Accessories, Bathrooms, Design, Mirrors, style, Trends.